พร้อมด้วยหัวหน้าส่วน และเจ้าหน้าที่ที่เกี่ยวข้อง ให้การต้อนรับ นางรวีวรรณ โกศลกาญจน์ ผู้อำนวยการ สำนักอำนวยการประจำศาลจังหวัดนครศรีธรรมราช และคณะจำนวน ๑๕ คน เข้าศึกษาดูงานระบบงานในส่วนต่าง ๆ ของศาลจังหวัดสงขลา แลกเปลี่ยนประสบการณ์ ความรู้ และหาวิธีการแก้ไขปัญหาข้อขัดข้อง ในการปฏิบัติงาน ../. 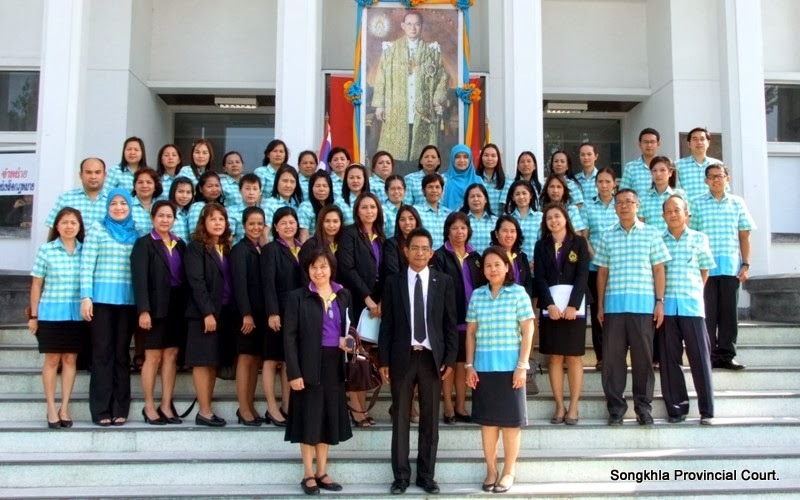 Nakhon Si Thammarat Provincial Court has been established since Ror. Sor. 114. 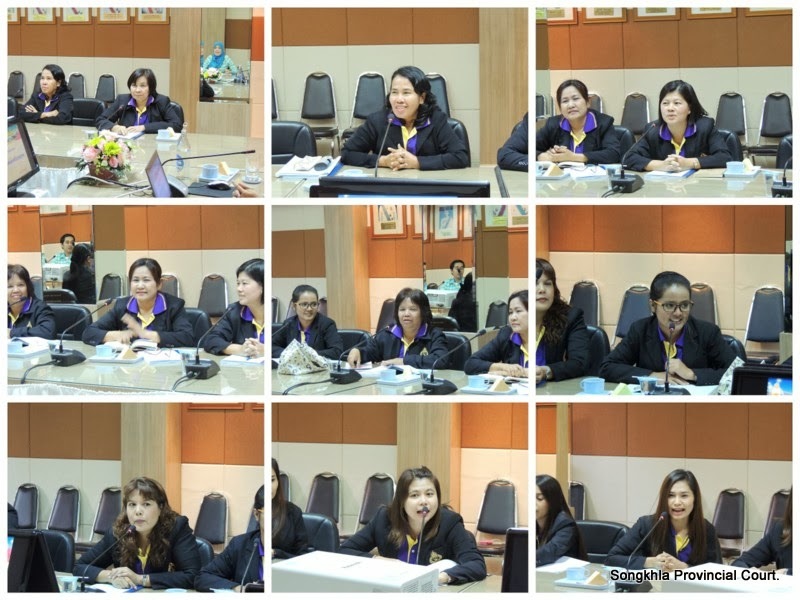 At that time it was governed by Nakhon Si Thammarat County Court, located in Songkhla province. The Court building was situated in the ceremony hall inside the Nakhon Si Thammarat’s King Palace ( i.e. “Kra Mhom Sam Kok”) upon Sukhothai era. The place had previously been used for Pipat Sataya ceremony in which the government officers vowed to be loyal to the King. Specifically, the location thereof was on southwest of Sar Mor Yai tree. The ceremony hall was segregated into three main parts including government administration office on the south side, Provincial Court on the north and Great hall in between. In Ror. Sor. 123, given that the ceremony hall was too small, damage and out-dated (and thus not appropriated for Court purposes), the Court was then removed to other different places afterwards; namely, at Sara Ton Jan for the next 3 years and Nar Pra Soong for another 13 years. Later on, the Court was reverted back to the ceremony hall as Ministry of Interior led by Chief Official Somdet Krom Praya Domrong Rasha Nupab and Praya Sukhum Nai Vinij (the representative of Nakon Si Thama Rat County) tried to pursue the Praya Suthum Montri’s earlier wish as to using the King Palace as the government official center. Hence, on 1st June 1906 the two stories building with three Court benches was start constructing and completed/opened in that year. After opened as a Provincial Court for 45 years, the building was in disrepair. 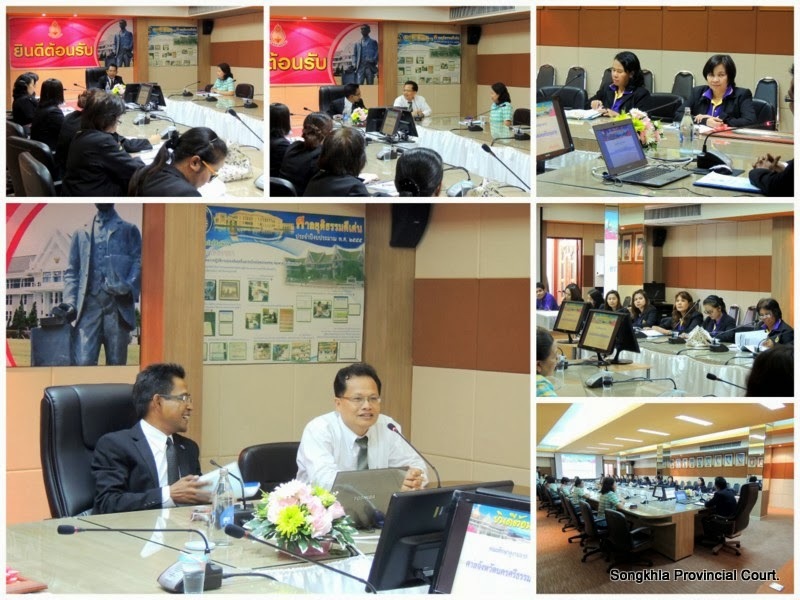 By that time Major General Thamrong Nava Sawat ,Prime Minister, went on tour for inspection in Nakorn Si Thammarat province and visited the court. He opined that the court was very old and needed to be rebuilt. He thus tried to find budget but nothing in progress. Later Mr. Nomm Upparamai, member of the House of Representatives brought this issue to the House. He asked the state's Minister of Justice whether to rebuilt or to repair the Court. The Minister said the government desired to rebuilt but were hampered by the price, namely if a new one would have cost THB 3.1 million if the repair would have cost THB 800,000. Despite the fact that the repaired/renovated budget was subsequently funded twice, the old building seems to be too small as the increase of Judges from 5 to 8 persons along with it was where the offices of Chief Judge of Region 8 and Nakon Si Thama Rat Magistrate Court were located. Accordingly, Ministry of Justice requested for additional government budget so as to constructing the new two-stories building with Thai style roof top. The building obtained 8 Court benches and the office of Nakon Si Thama Rat Magistrate Court. And, 148 meter reinforced concrete fence as well as an official quarter. Regarding the construction, the submission of tender was announced by Ministry of Justice on the date of 24 November B.E. 2507. The result was that the Chuaw Dis Satapat ordinary partnership owned by Mr. Nicom Boon Arluck won. To construct the new building, the old one would need to be pull down/demolished; therefore, the current offices located thereof were temporary removed to the Buddhist School of Wat Marhatard Temple. This was, without any charges, granted/allowed by Tan Jow Khun Ratana Satha Munee, Abbot. The new building was completed/ delivered on 23 December B.E. 2508 and announced to open on 4 March B.E. 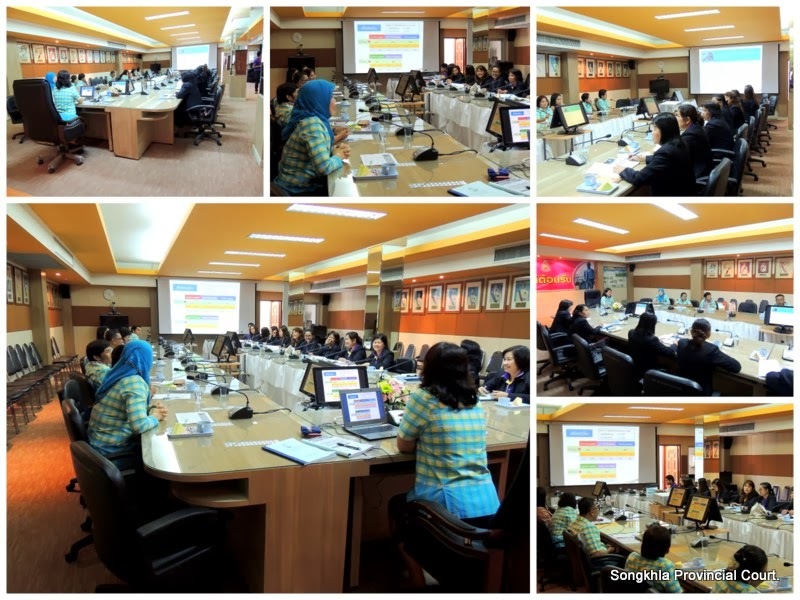 2509 by His Excellency Praya Autthagari Nipon, Minister of Ministry of Justice.